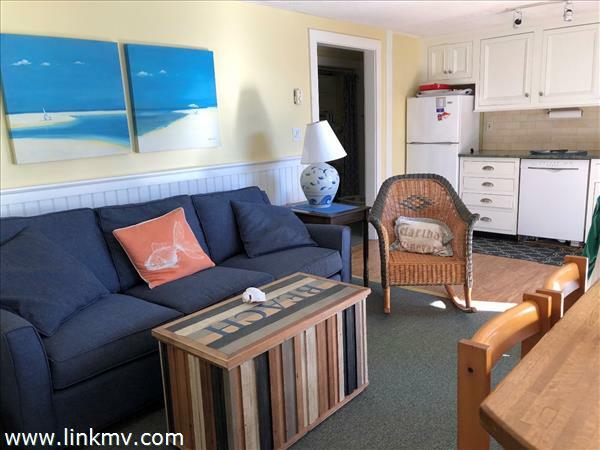 VOTED BEST BUDGET FAMILY HOTEL on Martha's Vineyard 2018! This very attractive first floor one bedroom unit overlooks the pool area, sleeps five and comes furnished,. Bookings are strong, so put your homeowner dates in now.The in town location, beautiful pool and fabulous amenities make this a favorite for family vacations and also as an income producer. Seasonal usage with management team on site. Join the fun and call now for more information. !